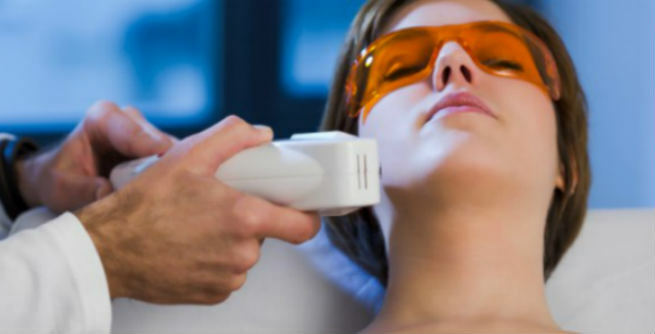 Photorejuvenation is basically a certain skin renewal treatment in which intense pulsed light (IPL) of broadband is used to overturn the effects of photo-aging through wrinkle removal. IPL easily gets absorbed by red and brown pigments present within as well as underneath the skin, which results into the formation of temporary wounds followed by fresh new cells, thereby promoting the natural healing process. It is majorly applicable for treating face, neck, hands, shoulders, etc. A mild stinging sensation during the procedure is absolutely normal. At first, the patient needs to put on a protective eyewear. A cold gel is spread uniformly over the targeted area of the skin and then, bright light pulses are applied methodically by moving the glass surface of the photorejuvenation handpiece to it gently. Once done, the gel is wiped off followed by the application of a SPF-rich moisturizer. 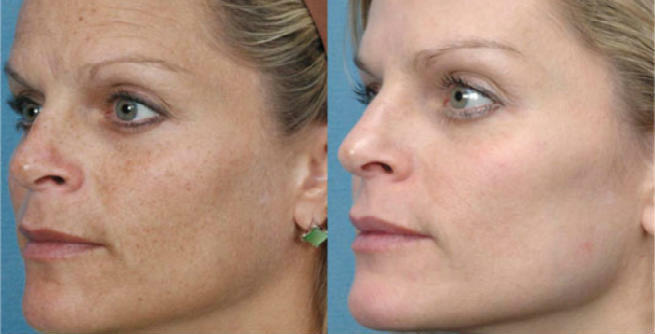 The IPL beam goes deep into the skin and gets absorbed by either the hemoglobin present in RBCs within the blood vessels or melanin present in brown spots and blotches. Consequently, the walls of the blood vessels get ruptured and the brown pigment of melanin gets fragmented. The residues are then taken in by the body cells, which eventually eliminates the photo-aging effects. Improves the texture and appearance of skin by healing as well as eliinating sun damages including redness, rosacea, sun spots, age spots, brown blotches, dilated and broken blood vessels. Removes fine lines to a great extent. Makes skin soft and smooth to touch. Usually, a person needs to undergo a series of 3 to 5 sessions at an interval of 3 to 6 weeks. Each session should last 30 minutes to 1.5 hours. Being a non-surgical procedure with minimal discomfort, it comes with no significant downtime and you can resume your daily routine almost immediately. The improvement is visible with every single session, but you have to wait at least 3 to 5 months for experiencing vast changes in your skin conditions. However, it might be longer depending upon the severity of sun damages. In general, the effects of photorejuvenation treatment last up to 1 year and it can be prolonged by going through maintenance treatments every 4 months. Different side effects of photorejuvenation treatment include redness, swelling, scabbing, blistering, bruising, crusting, flaky skin, stinging, prominence of brown spots, etc. The treatment is priced anywhere between 1,000 and $5,000 depending upon the extent of damages as well as the number of areas to be treated. In most cases, the cost of each session of photorejuvenation treatment is $250.